We recognise that a large number of our customers have never organised an event before, and no matter how big or small, whatever the occasion, it can at first seem daunting. We have put together a list of some of our FAQ, however if you are still unsure please contact us. Are you licensed to sell alcohol? Yes! The director, Jeremy, holds the personal license for Spirit Events. This will be displayed at all times whilst we are operating and if for any reason he is not in attendance, a Designated License Supervisor (DLS) will be on site. We are also available to operate on non-licensed premises, but require sufficient notice so that we can obtain a Temporary Event Notice. There is a £30 admin charge for a TEN. We are based in Buckinghamshire, but we cover a 50 mile radius from our base at Beaconsfield. What are the dimensions of each bar? 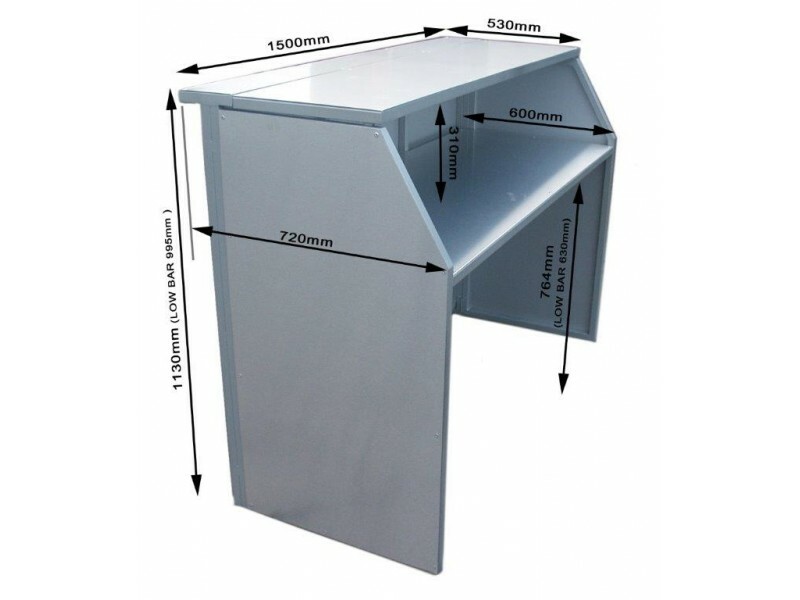 Each bar Measures 72cm Wide x 150cm Long x 113cm High, the bars can be made longer by Having two or more put together. Two Bars   = 72cm Wide x 300cm Long x 113cm. Three Bars = 72cm Wide x 450cm Long x 113cm. Four Bars  = 72cm Wide x 600cm Long x 113cm. Can you do other shape bars other than straight? Yes, not only can we do a straight bar setup bar we can provide a L shape bar or a U shape bar. Do i need to return glassware clean? No, we will always deliver glassware clean and take away dirty to be washed in our industrial glasswashers, all we ask is that all glassware is stacked and stored correctly & ready on collection. Can you use credit cards over the bar? Yes, we need power to run some of our equipment, we always bring extension cords with us & will just need 1 UK plug socket for most jobs. 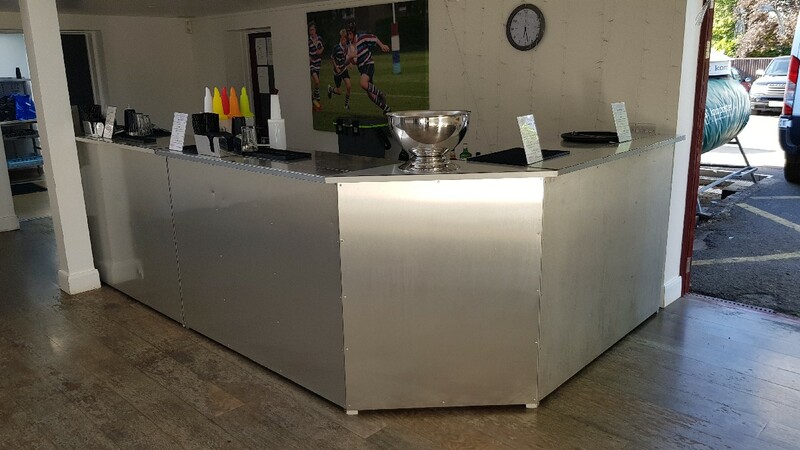 Since our bar is a modular system, we can expand it easily to accommodate your requirements. What bar packages do you provide and how much do they cost? I'm not sure what drinks or cocktails to have. We always recommend to have a large variety of drinks to hand as everyone likes different drinks. When picking cocktails its always good idea to have a one of each based cocktail for a bit of variety. Check out our cocktail list today.